One of my favourite authors and the unparalleled master of cosmic horror whose short story collections have been issued in a bewildering number of formats by many publishers for well over half a century. I knew that the shelves bearing his work would be a fine place to begin my investigation. 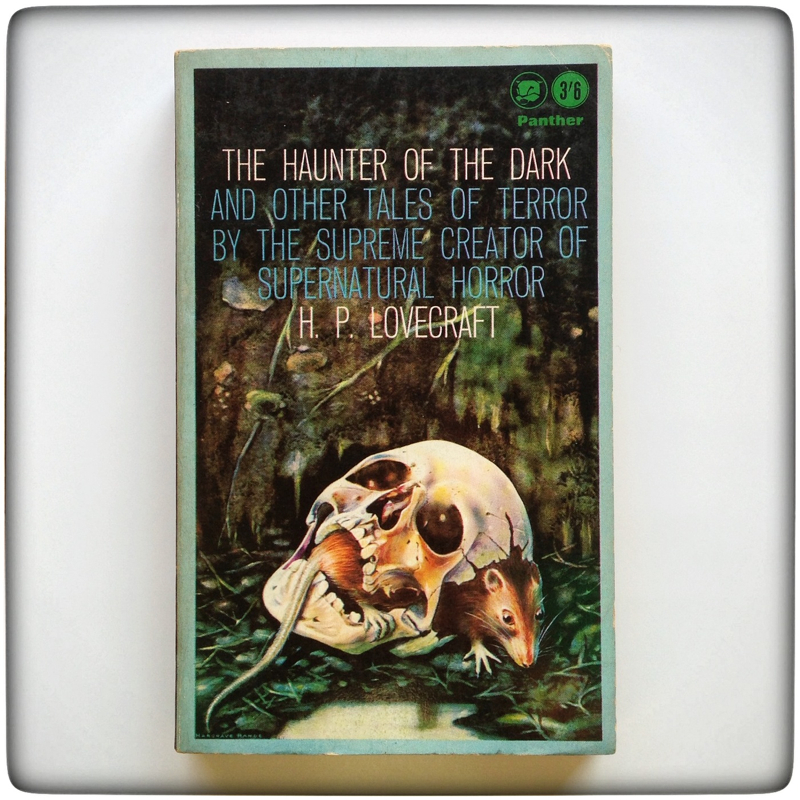 The Haunter of the Dark and Other Tales of Terror – A very rare early Panther collection published in 1964 with an uncredited cover depicting a rat sitting inside a human skull. 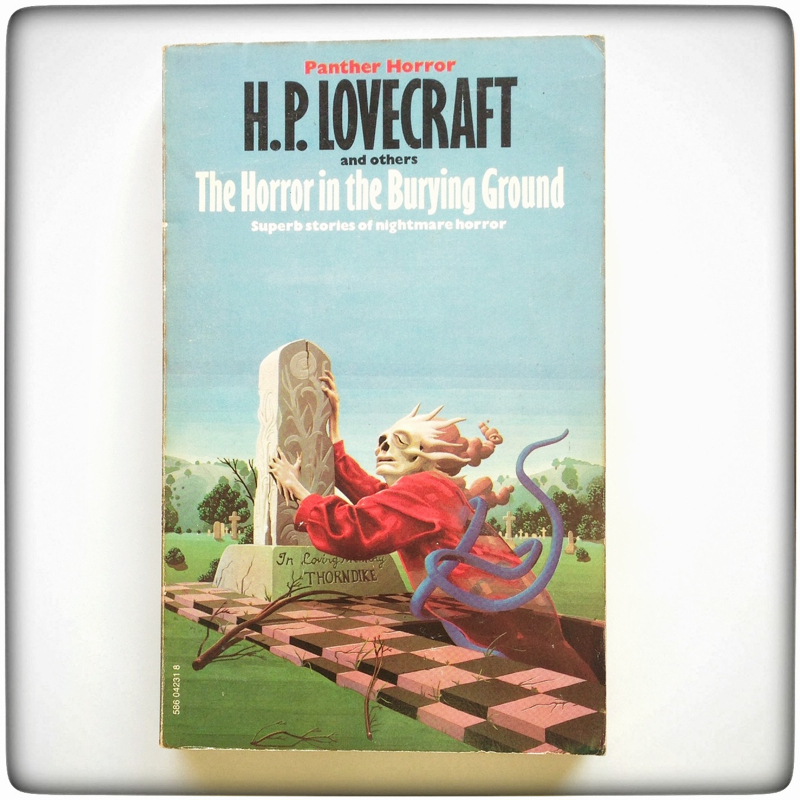 The Horror in the Burying Ground – One of several editions published by Panther throughout the 1970s and early 80s, all of which are now quite difficult to obtain at decent prices. 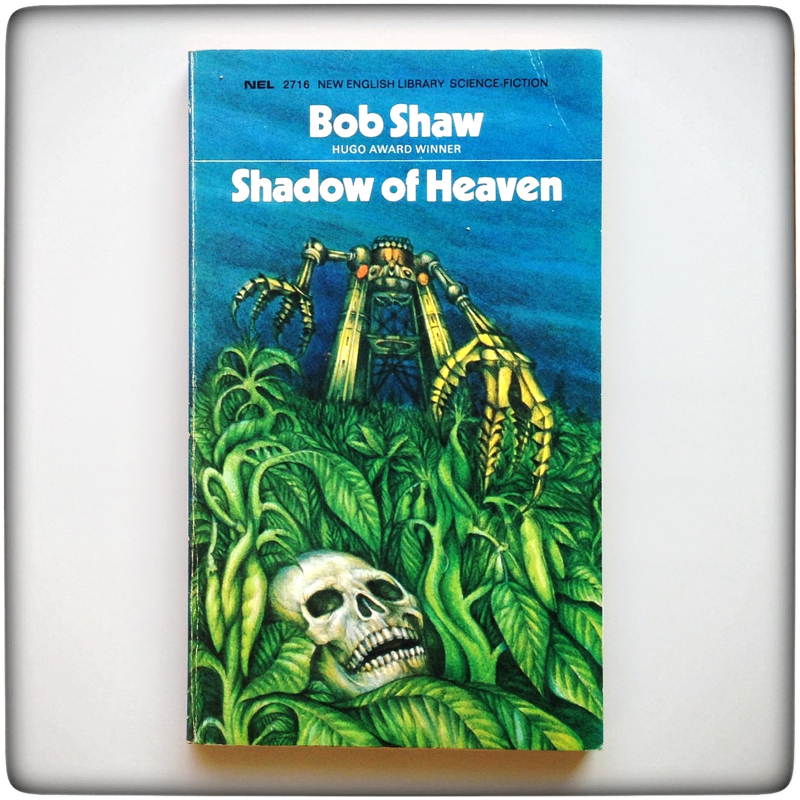 This printing is from 1975 and features a suitably bizarre cover by Bob Fowke. I’ve picked up a few copies of this marvellous series of anthologies during the past few months and have been impressed by both the contents and the lurid cover art, particularly from the earlier volumes. 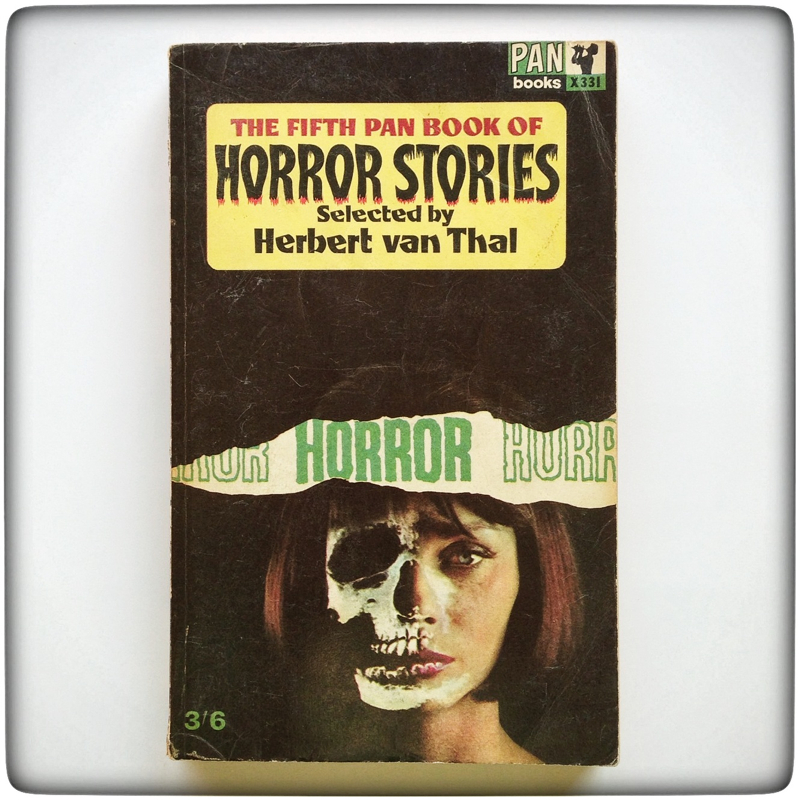 The Fifth Pan Book of Horror Stories – This 1964 edition bears an uncredited cover depicting a skull which gradually dissolves into the face of a woman who gazes unblinkingly into the camera. 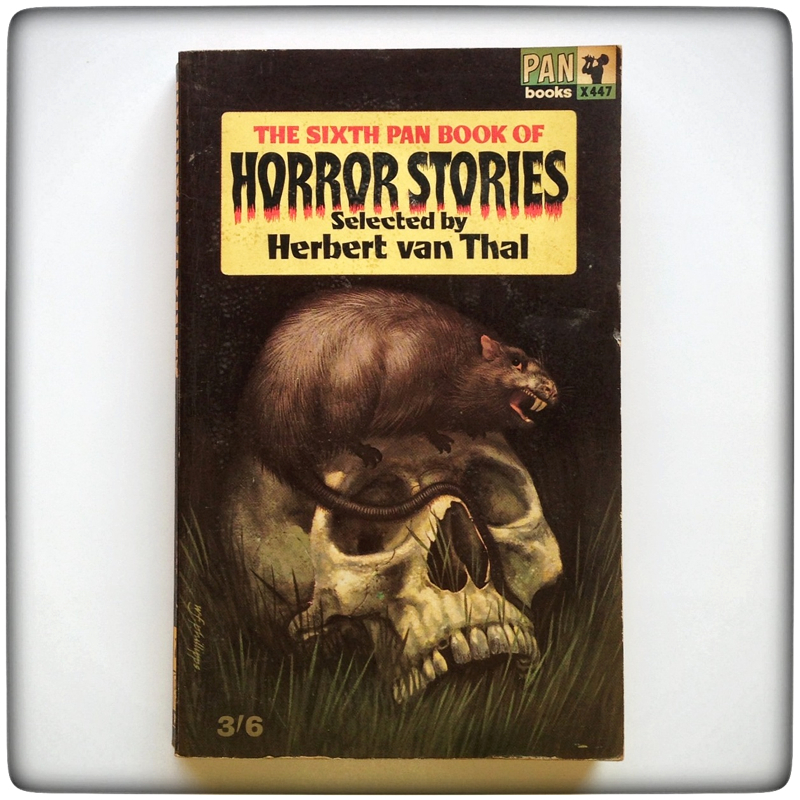 The Sixth Pan Book of Horror Stories – The next collection in this series was published in 1965 and once again features those twin signifiers of terror; The rat and the human skull. This time however, the rat has decided to perch atop the cranium rather than skulk within the cramped confines of its interior as in the previous Lovecraft cover painting. Artwork is by W.F. Phillipps. In my brief introduction I mentioned that I had found a number of vintage Sci-Fi novels which also used the human skull in their cover art. These books are two such examples. 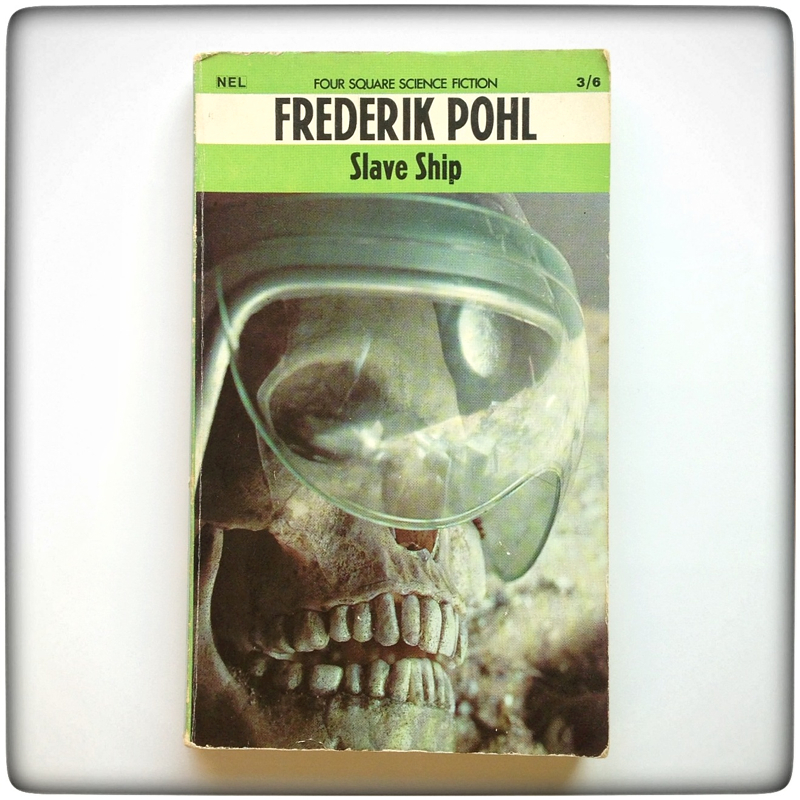 Slave Ship by Frederik Pohl – This book is from yet another series which I am attempting to complete. Published in 1967 by Four Square Books, the uncredited photograph depicts a skeletal spaceman complete with visored helmet. This final selection is made up of a pair of titles which use representations of the human skull rather than the real thing. Interestingly, both of these books were published by Penguin in 1966 as part of a series. 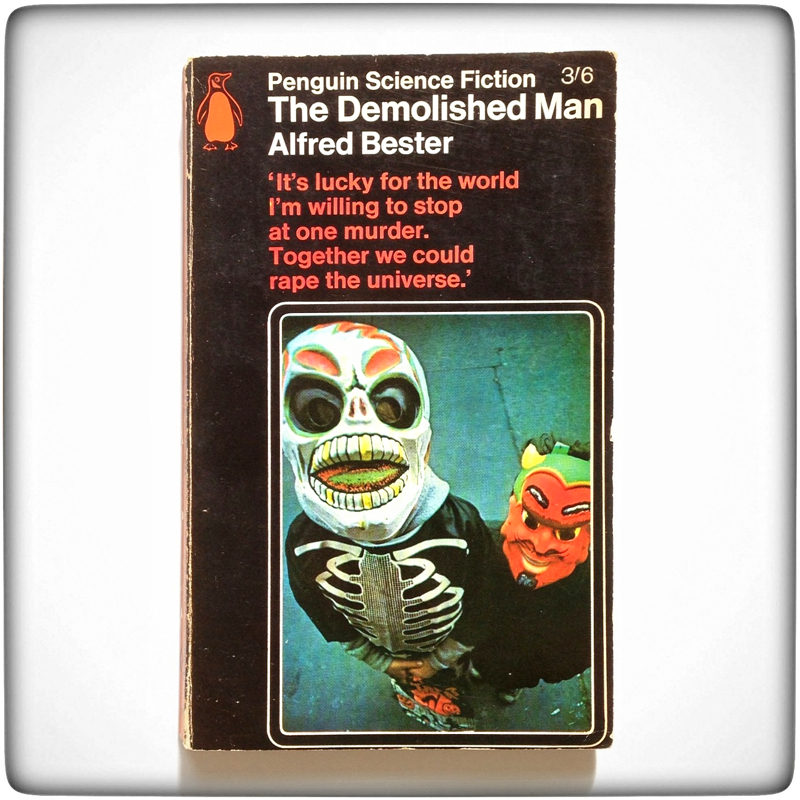 The Demolished Man by Alfred Bester – A rather odd cover photo by Lester Waldman for this great novel featuring two children in Halloween costume, one of whom is wearing a bizarre skull mask. 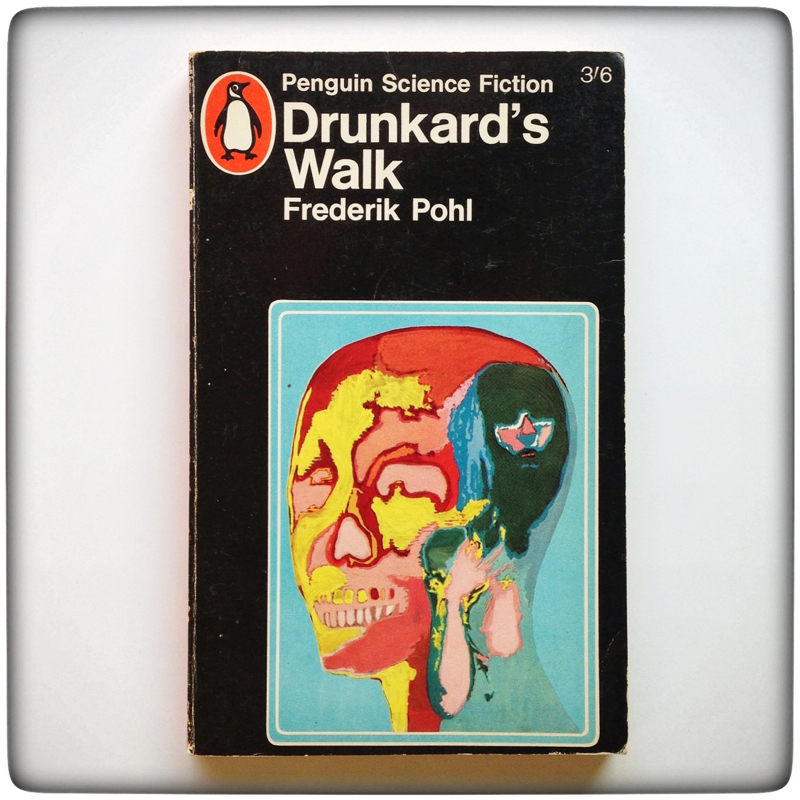 Drunkard’s Walk by Frederik Pohl – The second Pohl title to be included in this post, the cover of which has a marvellous abstract painting of a skull by Kenneth Randall. 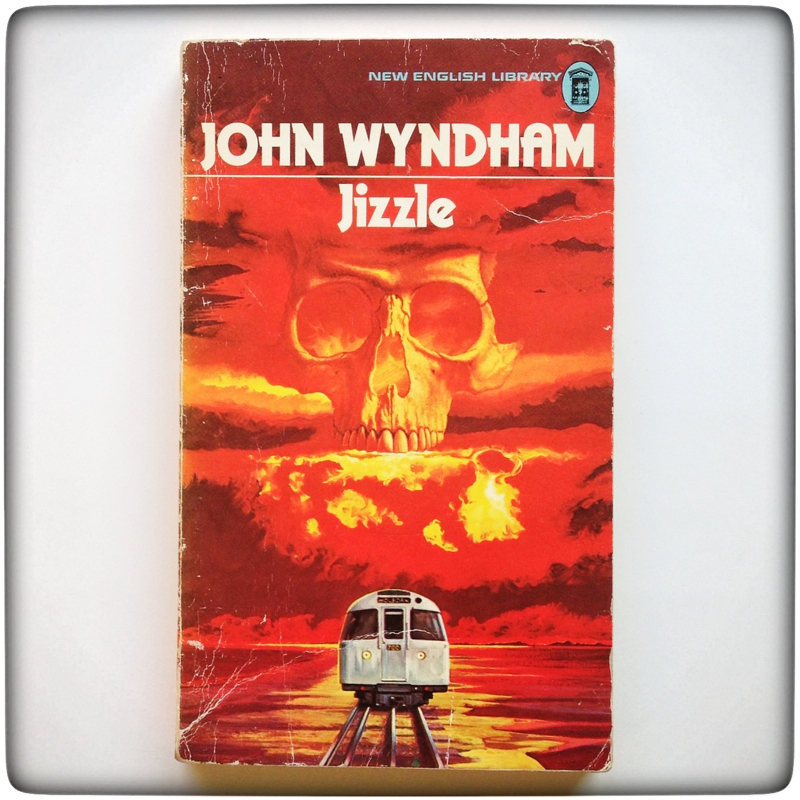 I couldn’t leave this one out, a stunning cover by Richard Clifton-Dey for the 1973 New English Library printing of John Wydham’s amusingly titled Jizzle collection. Previous Article Four For The Future… Twice!